match decorating pieces, and toy wooden kitchen utensils. 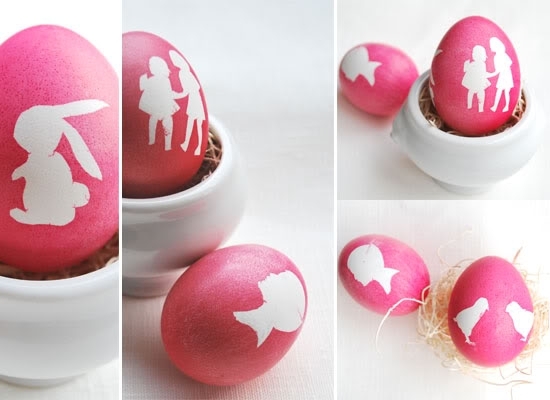 There have been so many super Easter Egg decorating ideas sent to us. Here are a few more that you might find inspiring. 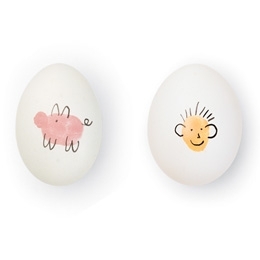 Thumb print eggs were a rather “handy” idea from Family Fun. Life Hacker knows “it’s what’s on the inside that counts”. Learn how to make some Chinese Tea Eggs. 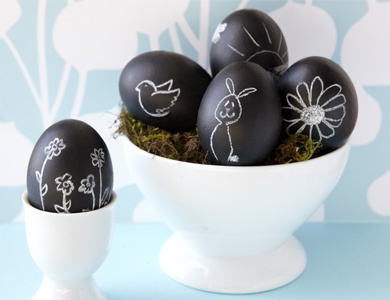 If you find chocolate inside your egg, you know it is a “good thing“; thanks Martha! 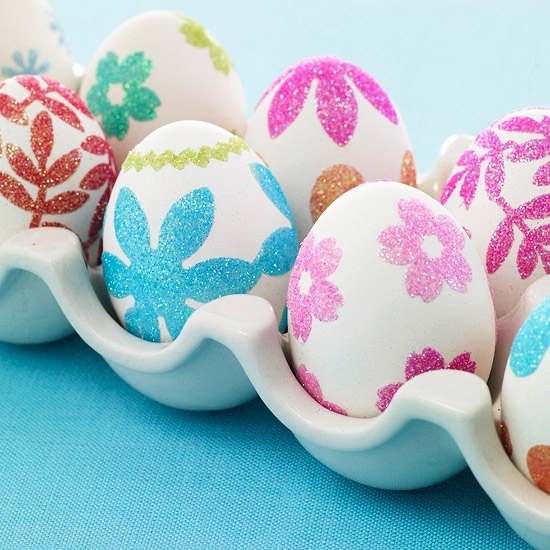 If you’ve been dying to find a safe eco-friendly Easter Egg coloring kit – search no longer. Included are dyes made from purple sweet potato, paprika, beta carotene, red cabbage and blueberries plus 2 soy crayons for decorating. Then oh my goodness, hopping back to thoughts of tomato planting. Can you really believe that fish heads, egg shells and aspirin are the ticket to growing amazing tomatoes? Love Apple Farms has a colorful odorless pictorial of this interesting process. I really meant “getting stones” to share with friends. Skip to My Lou makes these perfect for St. Patrick’s Day, little Blarney Stones complete with a hidden surprise. If they don’t look appetizing to you, please realize that ingesting is not the intended end result. They do have a fun little surprise tucked inside. We always make Blarney Treasure Stones the weekend before St. Patrick’s day for our little neighbor friends. Hope that you give this a try too. It’s another great project to do with little ones from Skip to My Lou. Ah, come on. You too must have some friends that would enjoy getting stones on St. Patrick’s Day. Thought that I caught the luck of the Irish when finding this easy to make treat. It will be a big hit at our house without a doubt. Plus it is another perfect make together recipe for all hands, big and small. KB Designs has the easy to follow directions with pretzels and white chocolate chips. What?! You say that you have no time to cook? Then, Busy Busy Mama, look what we have for you. Reindeer Noses that require no cooking we think are an ideal Recipe for Fun with the kiddos. They are packaged 8 brown and then the 1 red one; Rudolph’s nose! Can you name the other Reindeer? 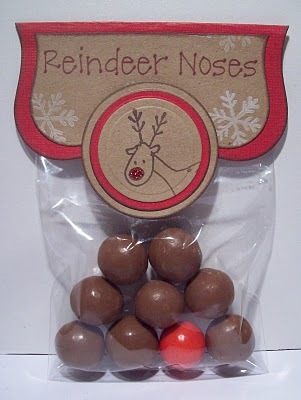 The brown noses are Malted Milk Balls, and unfortunately, some of them might not pass quality control so you may have to eat them during the packaging process. The red nose is bubblegum. 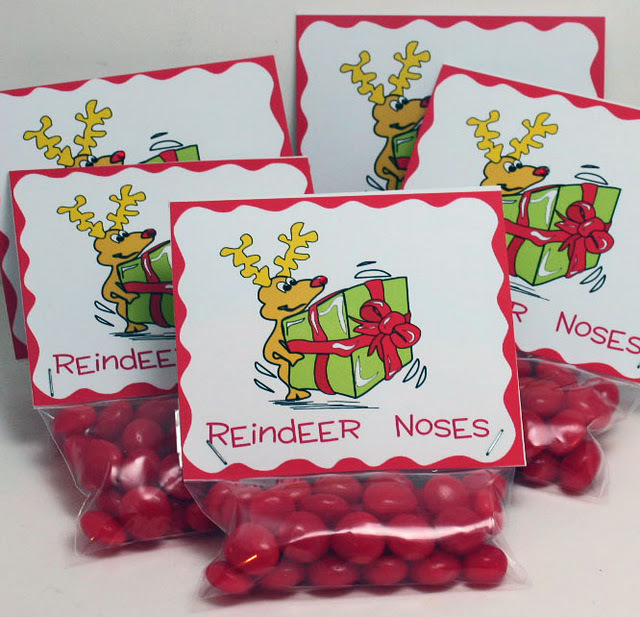 Sweet Paperie makes these bags of all red Rudolph noses. Best of all they offer with the instructions, the colorful printable header. Another one of our no-cook recipes you may also like. Reindeer Poop for our friends, not enemies always a winner. If you have not used this FREE message service before, you must give it a try! Santa Claus and his amazing PNP (Portable North Pole) console is online during the entire holiday season. With just a few clicks, this technological marvel will let your little loved ones receive a personalized message from Santa Claus himself, sent directly from his village in the North Pole. It is not only very cute, but FREE. We started using it years ago and has now become a tradition. You can create a fun little personalized video message to your child from Santa. 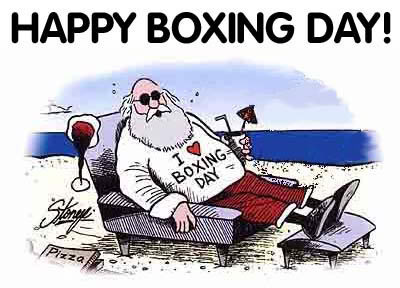 Help Santa out and keep him jolly. Be sure that he gets cookies at every stop. Share this jar with your friends and neighbors. Make It Do will show you how to craft the cheery covered jar and Bakerella has the recipe with the ingredients to fill the jar. Popsicle Stick Reindeer to make and hang on your tree or gift away. Expat Mom has the steps, one, two, three. 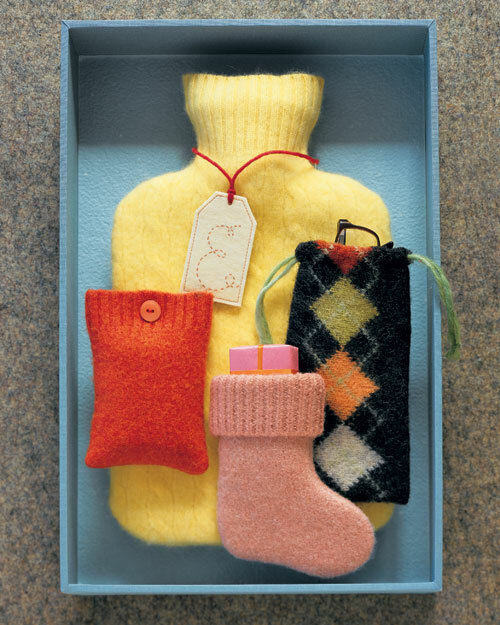 Large and small pieces of felted-wool sweaters can create a variety of attractive pouches: A hot-water-bottle cover was cut from a turtleneck sweater, an eyeglass case began life as an argyle sweater, a waistband forms the top of a tiny stocking, and a portion of a sleeve became a case for an cell phone. Gather ye old sweaters while ye may, old time is still a-flying by: and that same sweater that smiled yesterday will smile again tomorrow. Do not forget any of your Ugly Christmas Sweaters. Your family roots rooted in time for gift giving. Find some fascinating family faces, then pot them to delight Grandma after your ride over the river and through the woods. You could find a great picture of Grandma’s funny face and had her roots. Even if your thumb isn’t green, go ahead, give this project a try. 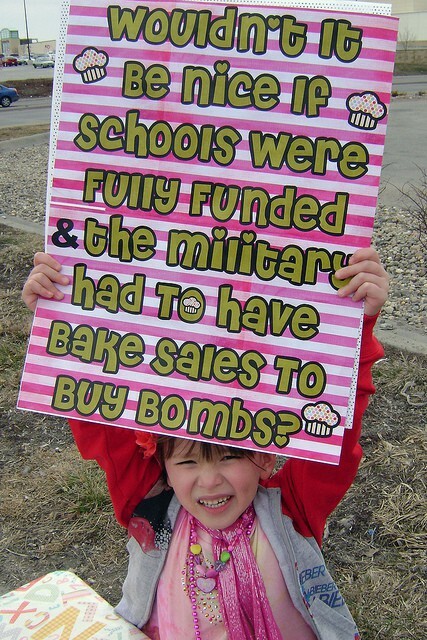 It doesn’t look too difficult. 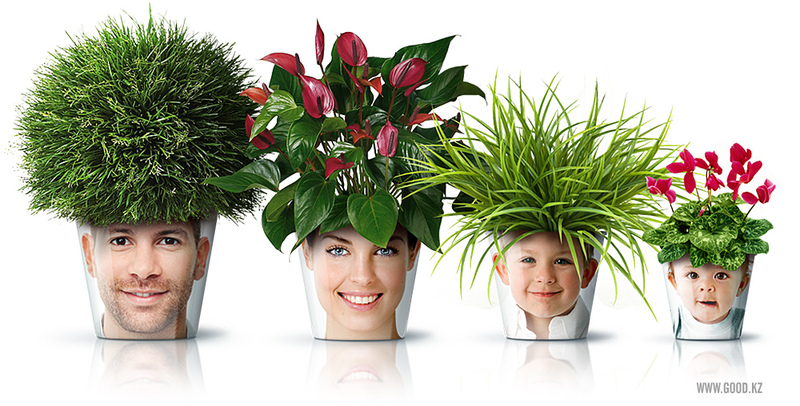 All you need to do is, gather up the perfect plants, a basic pot, family face photos and a transparent plastic pot. For the 411, and pictorial, check out good.kz.